In my blog “Opposites DO Attract – And That’s a Good Thing!” I talk about how frustrating it is to be all up in the Law of Attraction – making vision boards, projecting positive thoughts – only to find yourself spinning your wheels for all of your Law of Attraction sweat equity. We cranked the engine on the Law of Attraction by understanding how the principle of polarity, or opposites, helps you to magnetize what you want. In case you missed it, here’s a link to that blog. So what’s up with the Law of Attraction? What’s missing if you’re not attracting what you want? 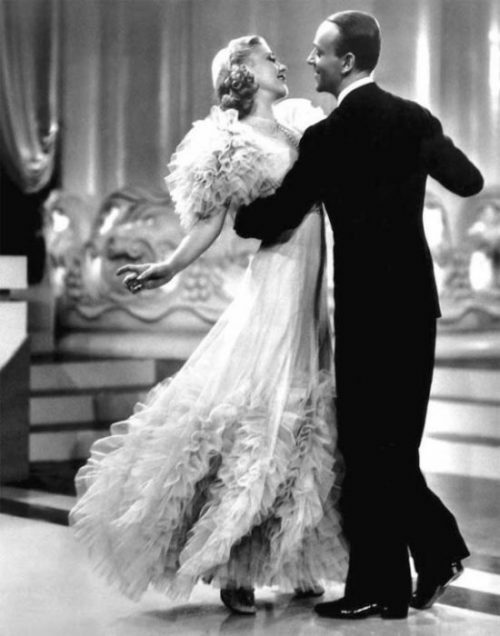 The Law of Resonance and the Law of Attraction work together, like Fred Astaire and Ginger Rogers. When both Laws get on board they make sweet music together. A person can want something all day long ($100 bills raining from the sky), but if you resonate with the belief “I don’t deserve it”, you won’t attract it. You have to change the underlying belief first. Then the Law of Attraction can kick in. So, what is resonance? It’s when two frequencies of the same vibration cross paths. Like when an opera singer hits the note that’s the same frequency of a champagne glass.The glass vibrates because it matches the frequency of the note. The same happens with you and your beliefs because you’re also made of frequencies that vibrate. Say WHAA? Yep. Thanks to Einstein we know that energy and matter are basically different forms of the same thing. E=MC2. That flower, tree, puppy, and you are made of vibrating atoms that are, in fact, energy. Simply put, energy is information that vibrates. That means your thoughts, emotions, and beliefs are broadcasting something about you. When your energy exchanges with other energy of the same vibe this is called resonance, creating a match or attraction. Think back when you were pregnant and, suddenly, your neighborhood became Mom Central and babies were poppin’ out faster than Magnolias in May. Was there an epidemic of pregnant moms just because you were sporting a baby bump? No. But, now you noticed the pregnant moms because you shared a common interest and need. If you resonate with the beliefs, “I deserve to be well paid for the work I do” and “I’m worth the time I take for myself”, then you’ll turn on the energetic switch to attract just that. But your beliefs must, must, must match the frequency. Bottom line: You can’t fake energy. What if you’re not at that frequency? You can change the channel! You can tune into new thought patterns that support your ability to show up as the drop-the-mic, super, ah-maazing woman that you are! Oh yeah! It’s this approach that forms the foundation of my coaching practice. I coach with an energetic flair! And I’ve got it down to a science. Want $100 bills to float into your purse? Or has the wind blown them into your neighbor’s yard? Wanna learn to dance like Fred Astaire and Ginger Rogers? But you’ve got two left feet? That’s where I come in! Click here to schedule a free Discovery Session and you’ll be hitting your high note in no time (putting all champagne glasses on notice!). Here’s to buying a bigger purse! P.S. – A special shout out to my gal pal and colleague, Stacy Dorius, who collaborated with me on this blog. I love all things energy! But that girl has laser logic and would give Einstein a run for his money. Even her business is called “Simply Resonate”. Check out her site for more energetic goodies: www.simplyresonate.com. Unfortunately I have had a lot of unconscious beliefs resonating out there attracting to me results I didn’t want over the years. There is something to be said for being more conscious and intentional about discovering what our underlying beliefs are, so that we can challenge them in our current reality. Do I really want to automatically believe what I was brought up to believe? Do I want to be copying my parents’ mistakes without even realising it? No thank you. I love this idea of questioning your beliefs, and “changing the channel” and creating new neural pathways. You have definitely helped me with this Jane. Thank you! I would love to see a future post on how we can find out our beliefs are. A lot of people think beliefs are just about religion but I was surprised to learn that even what you think about gender roles, education, work, families, parenthood etc all form part of our subconscious belief system. Looking forward to putting my dancing shoes on again soon! Thanks for your feedback Esther, and duly noted about beliefs. Here’s the short answer: A belief is simply a thought we deem to be true. And you’re right. It’s not just about religious beliefs. It’s any thought imprinted on us from childhood on that we believe to be true. Challenging those beliefs and changing the channel will change our resonance and attraction. Will definitely be writing a future blog about this!